Laphroaig distillery (the name means "the beautiful hollow by the broad bay") was established in 1815, by Alex and Donald Johnston. It was sold to Long John International in the 1960ies and subsequently became part of Allied Domecq. Today the distillery is owned by Beam Suntory, the American subsidiary of Japan's Suntory Holdings. 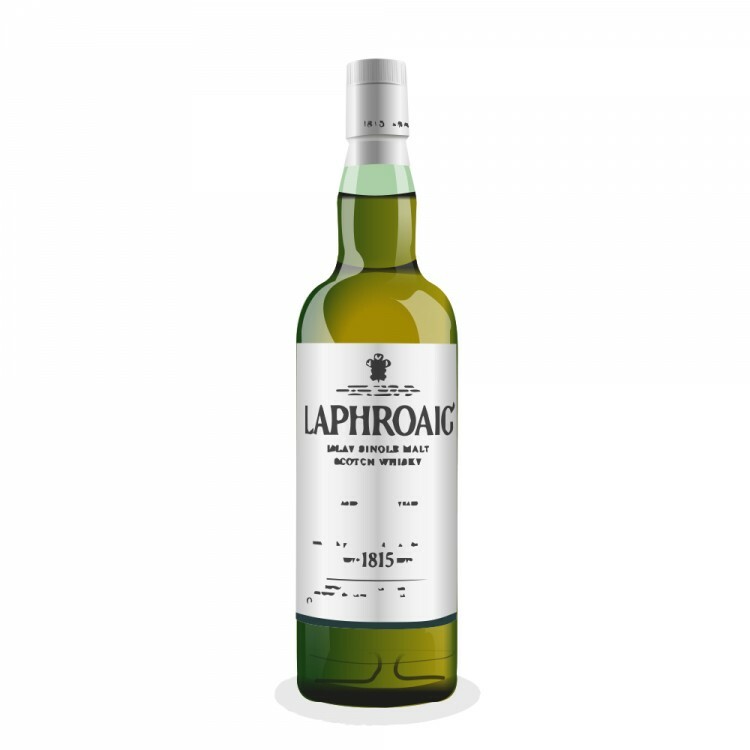 Laphroaig An Cuan Mòr was first released in 2013; it is matured in first-fill ex-American white oak bourbon barrels before being re-casked into European oak casks. As the ex-bourbon casks are located in the distillery’s warehouse right next to the Atlantic, the name An Cuan Mòr (meaning “big ocean”) was chosen. Officially this is a travel retail exclusive bottling but specialist stores have it in stock, too. I picked up my bottle at Brussels airport. The nose starts with rich and sooty smoke, followed by brine, seaweed, as well as faint flavours of vanilla and honey. Later on notes of orange peel and leather develop. All in all this is a wonderfully rounded nose, both medicinal and ‘maritime’. The palate is medium-bodied and very spicy. There is an earthiness that is almost mouth filling, together with distinct phenolic notes, rich smoke, and a touch of liquorice. Towards the end the oak influence becomes more prominent, with soft wood spice lingering in the background. The finish is long and warming. The oak is again quite prominent, next to sooty smoke and notes of liquorice. This is a great Laphroaig, with a beautifully sooty and briny nose and an earthy and phenolic palate that has not lost its sweet edge. In my opinion this tops all of the distillery’s current NAS expressions, including the Quarter Cask, and it could have been 90s material were it not for the oak influence that was a little too much for my liking. But now I am starting to complain for the sake of it, so I’ll say it loud and clear: well done, Laphroaig!